Join Only Green Design this March 8th and 9th to cultivate a positive and collaborative response to issues of pollution, community disintegration and lack of fresh engagement in design/build processes. 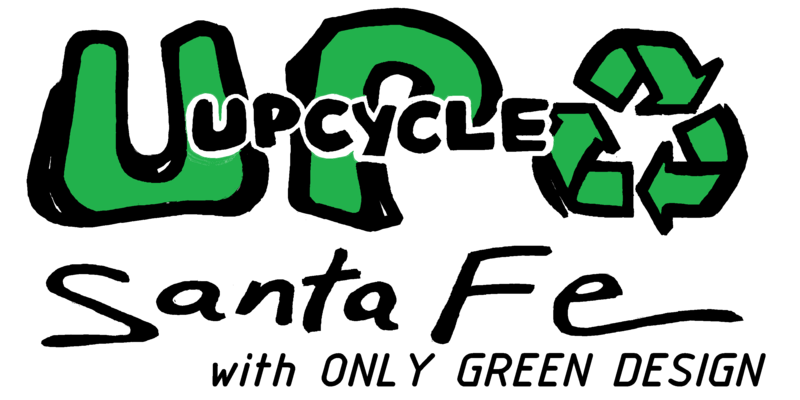 Upcycle Santa Fe will feature educational presentations to demonstrate some of the vast alternatives found in the creative reuse (upcycling) of wasted materials, and a panel discussion entitled Culture at the Crossroads. Come make rehabilitation a celebration, participate in an open source exchange of knowledge and materials to empower at the grassroots level, and support Only Green Design’s Ecological Design Education projects. UPCYCLE OGD Shipping Pallet Art Installation! 10:30am – 12:00pm – Panel Discussion – Culture at the Crossroads of Art, Design, and Agriculture with Brian Skeele of Sustainable Santa Fe, designer Alexi Dzurec of Autotroph Design, farmer Jennie London of Northern New Mexico College, and artist Jerry Wellman of Axle Contemporary. Multimedia Gallery Opening featuring the works of Scuba Hi, Axle Contemporary, Cha Maul, and more!